If you’ve ridden the trails recently, you may be surprised how dry they are. It’s been cool and relatively rainy, yet the mud-season it is not — by a long stretch. The winter started very dry and some dire warnings were issued by people throughout the county. Yet, snowpack levels finished the winter in the respectable 90% plus range. It was the best winter, as far a water, since 2010. Unfortunately that doesn’t appear to have helped much. A few years of drought and we are still behind. 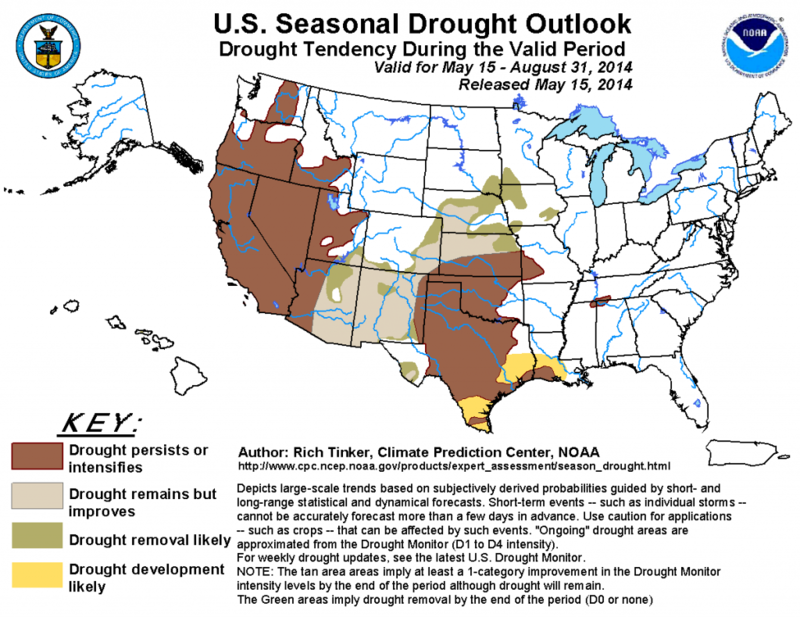 The National Weather Service predicts our drought will continue or intensify this summer. Many of us remember last summer and the water restrictions placed upon our land. Although you may have water shares, that doesn’t seem to help much when there isn’t water. It’s supposed to rain on Friday. Please enjoy it. That moisture may come few and far between this summer.